Ducati's latest Diavel introduces many new features to the highly awarded sport cruiser, including a new engine and exhaust system and styling refinements that combine the model's muscular and assertive look with an elegance and sophistication now synonymous with the premium Italian brand. 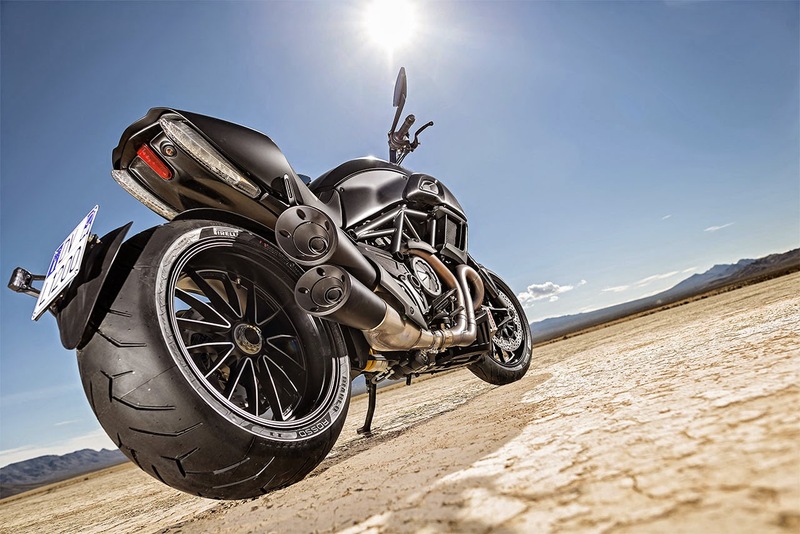 The new Diavel now makes a bold statement and strengthens Ducati's Performance Redefined mantra by using latest technologies to produce super-smooth performance with enhanced comfort and usability. Custom shop beauty, state-of-the-art technology, innovative design and extraordinary riding pleasure remain masterfully blended into the Diavel, a motorcycle that has firmly set a benchmark in the sport cruiser segment, just reward for the innovative designers and engineers that created it. Built to have a commanding presence, though lightweight and agile like all Ducatis, the Diavel takes the man-motorcycle relationship to another level in absolute comfort. 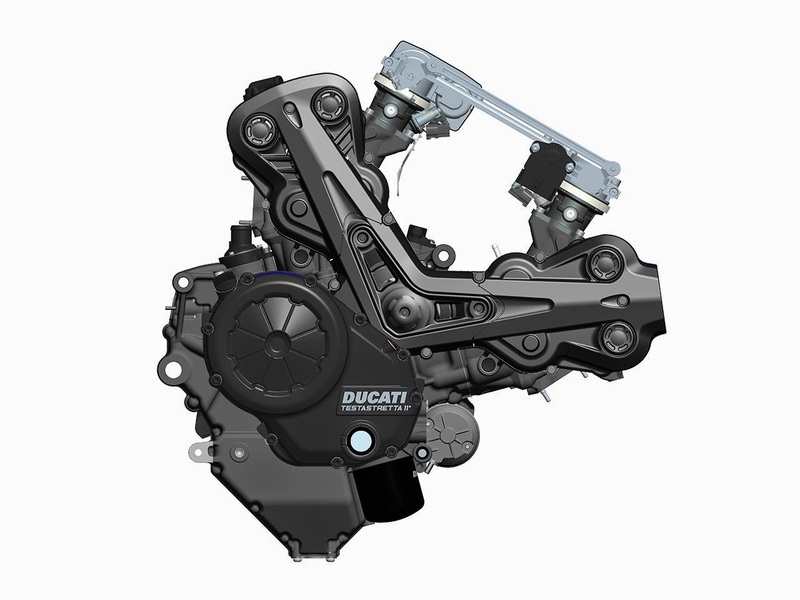 For connoisseurs of technology, the latest generation Testastretta 11° Dual Spark engine combines with full LED illumination, ABS, Ducati Traction Control and Ducati Riding Modes to deliver a confidence-inspiring superiority, while new styling, 162hp and 205kg* (452lb) of pure Ducati drives a comfortable sport lifestyle previously only dreamt of. Merging the worlds of power and style is now achieved with convincing precision. A specially engineered 240 section rear tyre combined with Ducati chassis technology serves up mind-blowing handling and lean angles which defy the laws of physics, whether carving through curves on your favourite road or simply cruising the boulevards. 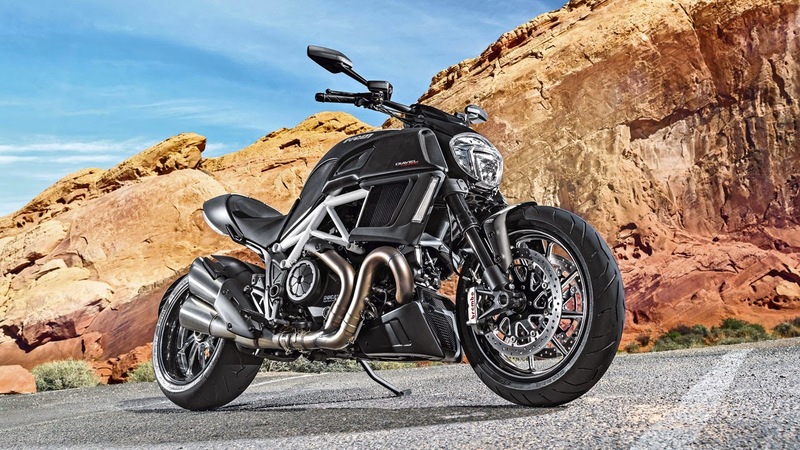 With its laid-back street ergonomics, blistering performance and commanding style, the new Diavel now rolls out dressed in stylish Dark Stealth livery, a black trellis frame and black wheels. The Diavel Carbon offers the choice of traditional Ducati Red over Matte Carbon with red frame or the stunning new Star White over Matte Carbon with white frame, both with black, forged wheels by Marchesini, turned and milled to expose the natural aluminium.